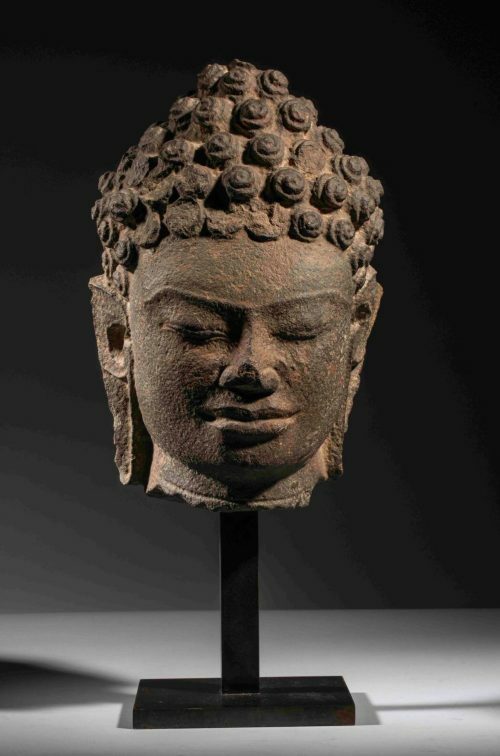 The Dvāravatī kingdom flourished from the 6th to 12th centuries in what is now Thailand, but due to absence or lack of written records, little of its culture and style is known. 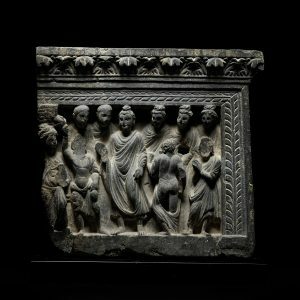 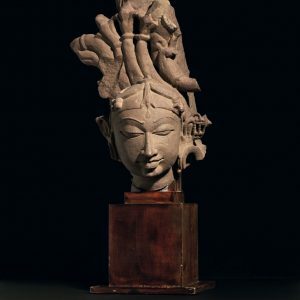 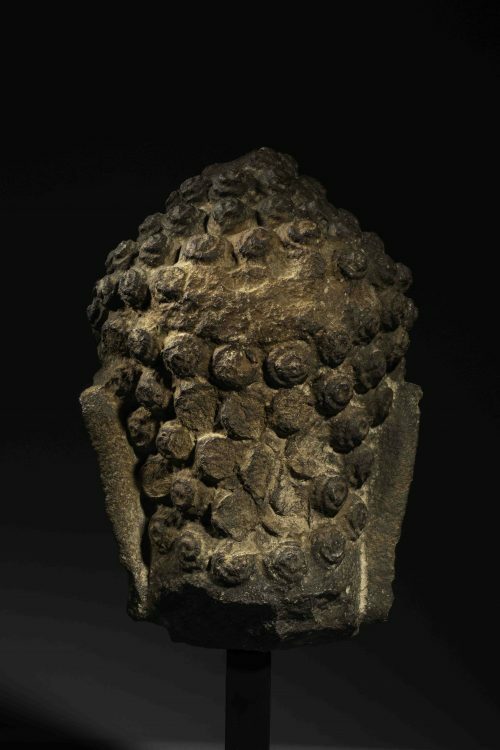 It was not until 1959 when Pierre Dupont’s book L’archéologie mône du Dvaravati was published, that there was an extensive chronological study of the Buddhist sculptures of Dvāravatī. 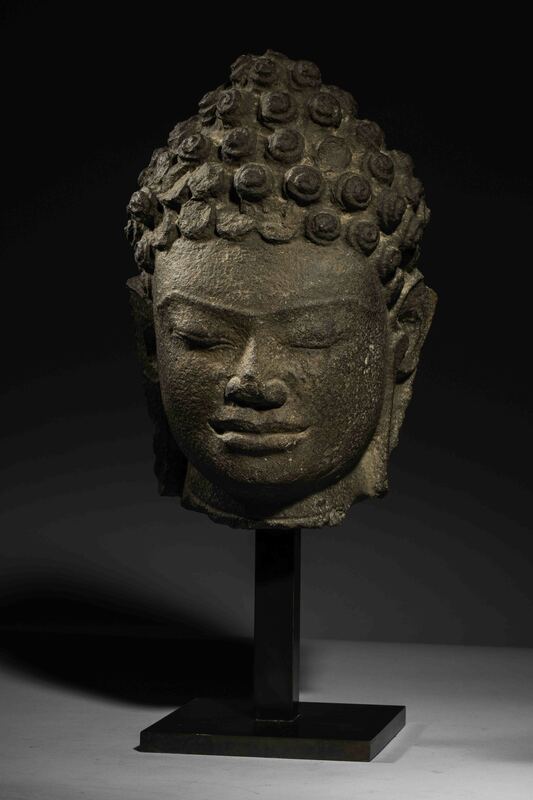 This remarkable bluish-grey limestone head of Buddha is a monumental example of the finest art of this period. 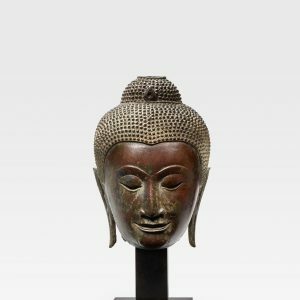 The elegant facial features with high cheekbones, broad nose and full lips beautifully reflect the ethnic traits of the Mon people, while emphasizing the perfect symmetry of the oval shape of the face. The unique curved line created by the joined eyebrows as well as the double curvilinear outline of the eyes and lips display Dvāravatī’s distinctive style while the snail-shaped curls of the hair with the uṣṇīṣa and the down-cast eyes show a strong Indian influence, particularly from the Gupta period. 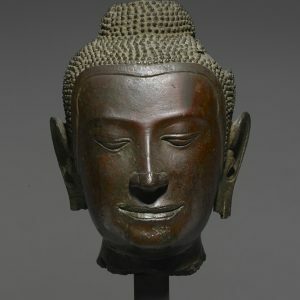 The calmness of the Buddha’s expression, with his serene smile, displays a moment of sublime peace. 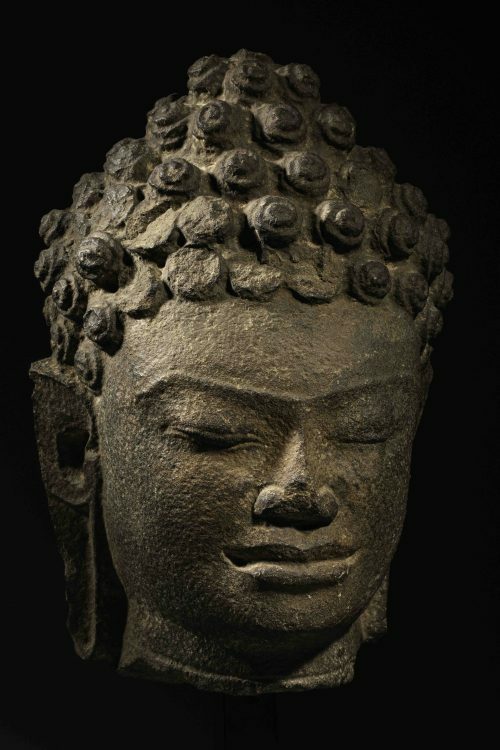 The artist beautifully captured Buddha’s compassionate spirit while subtly displaying his quiet strength through the strong shape of the head with its structured cheekbones and refined jaw line. 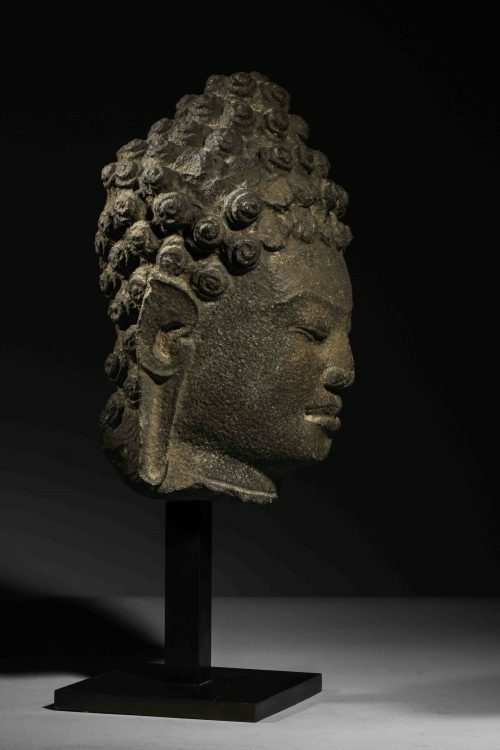 Provenance : Private collection, France, before 1970.